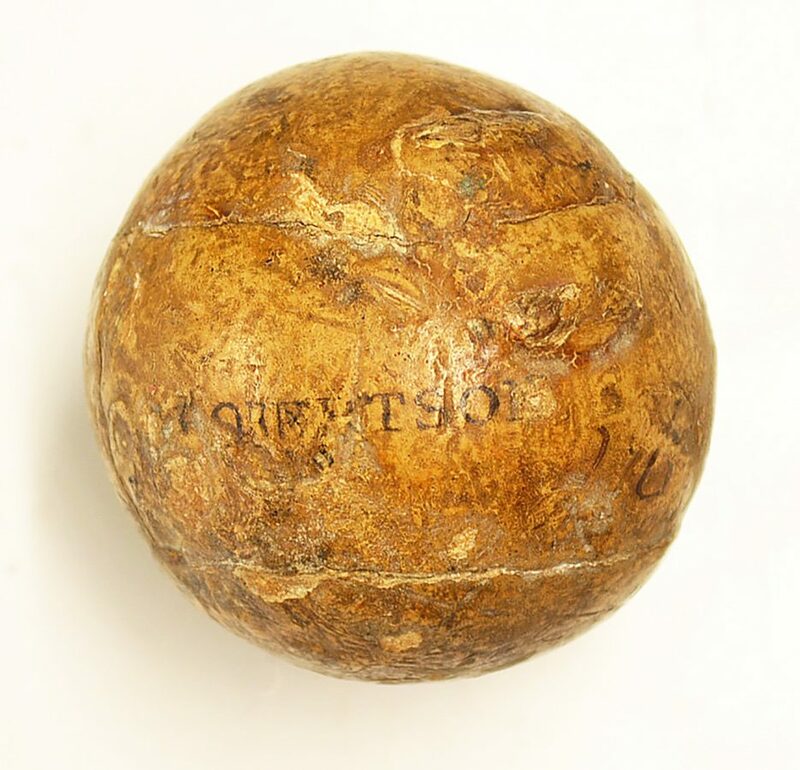 One of the first professional golf balls made in Britain almost 200 years ago has fetched £5,000 at auction. 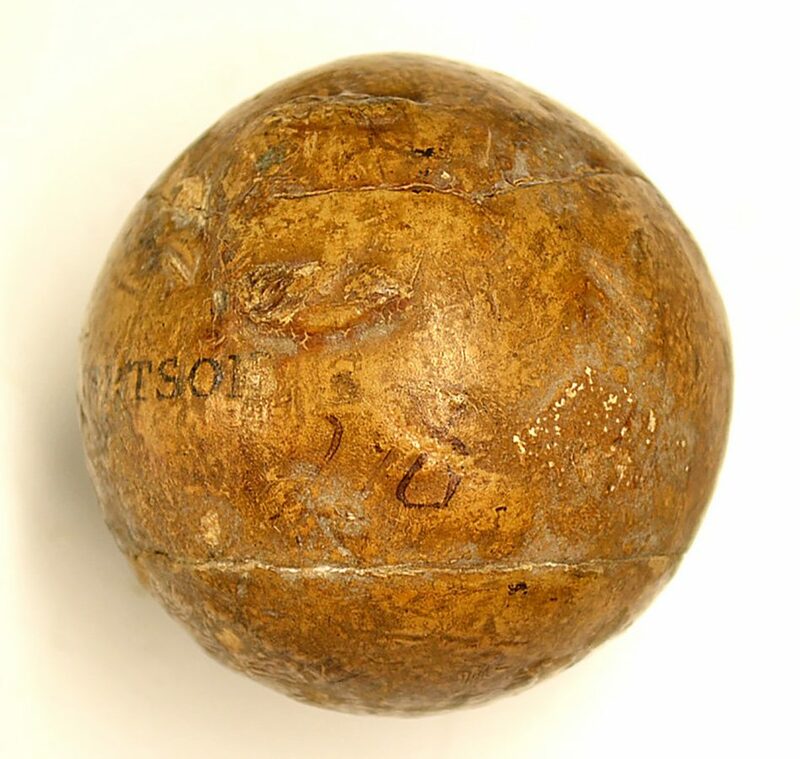 The leather ball, filled with feathers, was designed by Allan Robertson in the 1820s and is stamped with his name. The Robertson Family of St Andrews, Scotland, made golf balls between 1720-1836 with the business being handed down to Allan. The Scot was considered a premier ball and club maker at the time. The “Robertson” stamped ball is even rarer than balls stamped “Allan” which are, in themselves, unique and worth thousands. It sold for £5,000 when it went under the hammer at Mullocks Auctioneers last month when an Italian collector snapped it up. Auctioneer John Mullock said: “We hold specialist golf auctions, this came from a private collector in New Zealand. “The ball had been passed down to him through his grandfather and father. “How a feathery golf ball from the period of the 1820s ended up in New Zealand is anybody’s guess. “Considering they didn’t start playing golf there until the late 1890s. “What makes the ball so rare is the name that is on it – which is Robertson. “The most famous feathery golf ball maker was a man called Allan Robertson. “The quality of golf balls he made were second to none. “Allan Robertson himself made golf balls from 1820s to 1859 but he only stamped his golf balls with the name Allan. “Those are quite rare and prolific in numbers. “So to have a golf ball with the name Robertson is even rarer. “It’s hard to know how many were made with the name Robertson. “It was only the wealthy that could afford to buy them. “It’s an item that is over 100-years-old and rare to find – to find with a name on is very, very rare. “The Robertson family were prolific golf ball makers but the one you do find more than ever is the one’s named Allan. “I’ve sold a Tom Morris golf ball for over £10,000 before and he was Allan’s apprentice to a certain degree. 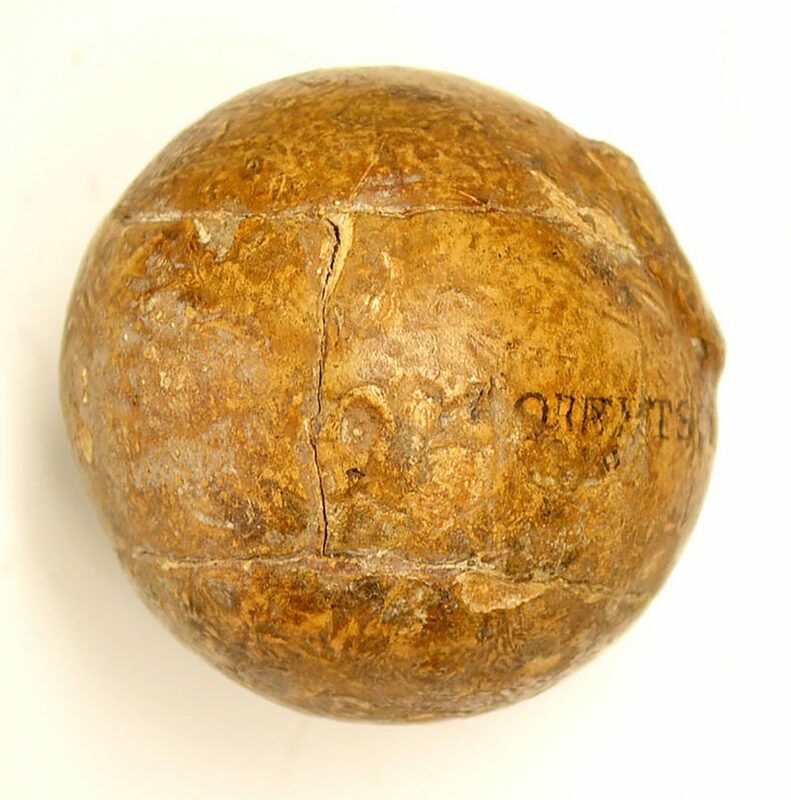 “We were very excited knowing that we were selling a Robertson ball, it’s a good find, very rare. “The person who bought was a private collector who lives in Italy and they are delighted with their purchase.